These give a whole new meaning to the phrase, killer heels. 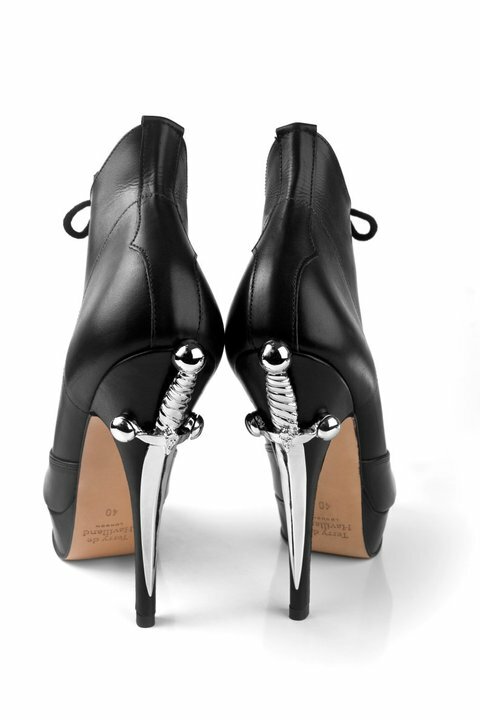 Terry De Havilland's dagger boots. They’d work well with the jewellery from Eina Ahluwalia’s Wedding Vows collection.